Happy Friday loves! I'm so excited the weekend is here! I am packing and getting everything ready to leave for the lakes later this afternoon with my family! My husband's job keeps him very busy and the girl's softball schedule is crazy! Getting away for the weekend is much needed! Today I am starting a new, weekly blog post called "Friday Favorite Five". I will be sharing my 5 favorite pieces of the week! I absolutely LOVE this swim suit! Such a fun pop of color! How stinkin cute is this set?! I am obsessed with this look from Free People. It's available in several colors, I had a hard time choosing which one to order! I'm all about comfy sweatshirts, especially when they are this cute! 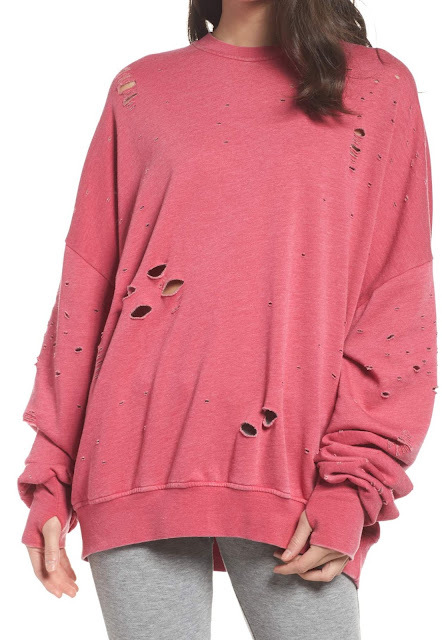 Love the color and distressing of this sweatshirt, and it's currently 40% off at Nordstrom! 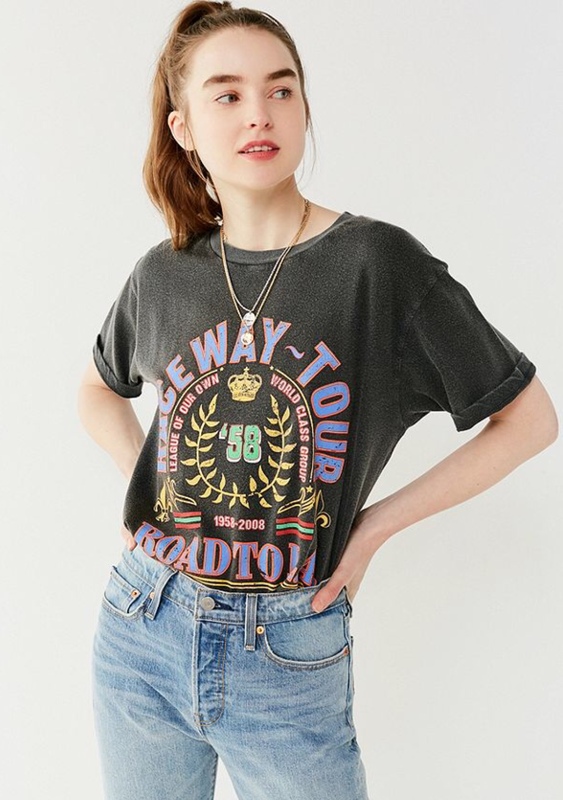 Lately I've been really into vintage-inspired rocker tees! 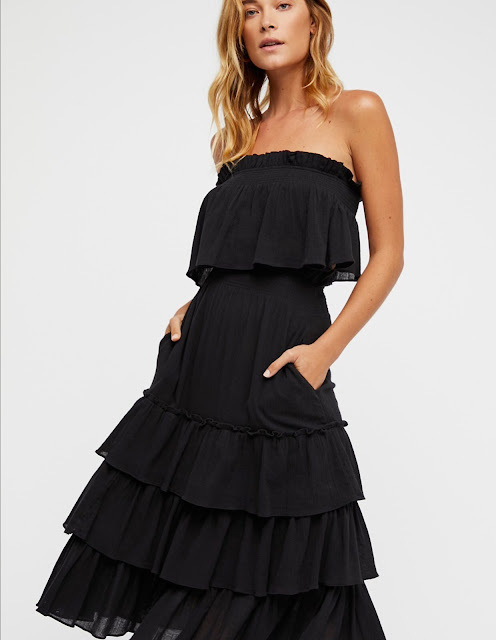 This one from Urban Outfitters is only $34! 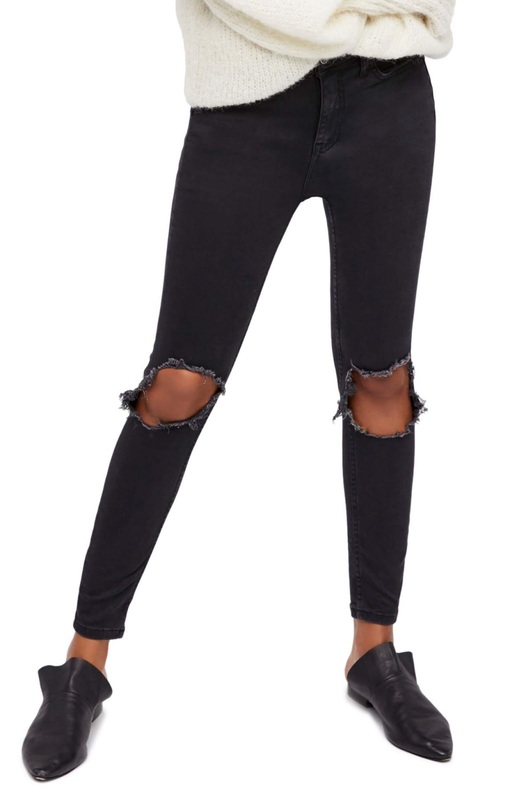 These high-waisted, distressed black jeans are so good! They would be perfectly paired with the rocker tee above! Hope you love these favorite five as much as I do! Be sure to comment and let me know if this is something you'd like to see every Friday! Have a wonderful weekend babes!